God’s will is perfect happiness for me. And I can suffer but from the belief that there is another apart from his. On the hour: God’s will for me is perfect happiness. It was a long but happy day today. I once wrote a poem about the warm dent in my morning bed, and this morning it was a real struggle leaving that warm dent, especially as it was cold and wet outside. However, I had clients to see, meetings to attend, and houses to view. It brings me great happiness when a client has an insight that creates a seismic shift in their thinking and therefore their live. At times like that I LOVE MY JOB!!! I am happy to be a small part of that awakening which leads to greater peace. Its not often I have a meeting accompanied by a beautiful vegan lunch and music ranging from Etta James to India Irie to Tyrus Riley. Thanks Sue, the fried dumplings were well irie. It was a great day to remind myself that my purpose here is to be happy. Do you know what happens when you allow yourself to be happy? The cheap drama disappears out of your life. The only real drama is the thrill of the journey back to love, back to God. 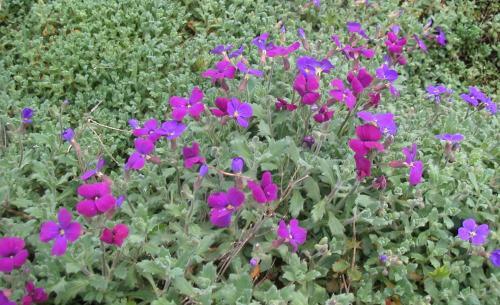 There are a lot of purple flowers at this time of year, have you noticed? This entry was posted in A Course in Miracles: Lessons (f) 111-120 (Reviews). Bookmark the permalink.